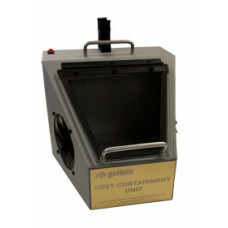 The DCU is an enclosed unit featuring an internal light, suction fan, and filter system that will allows use of the supplied handpiece in a more sanitary and safe environment. • High-powered electric handpiece system that is ideal for most cutting and grinding needs. • Hinged top window and internal light fixture that provide bright illumination for clear viewing. • Dual, wide hand holes that allow comfortable hand positioning and access to large workspaces. 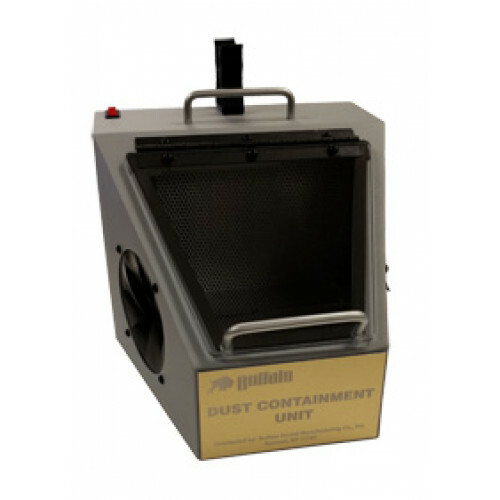 • Efficient suction fan and filter that collect damaging grinding debris. • High-capacity internal filter that is fully replaceable. • Additional 120 V AC power outlet on back of the unit for operating electrical devices. • Hinged rear door for easy cleaning. • Convenient handpiece clip on top of unit.